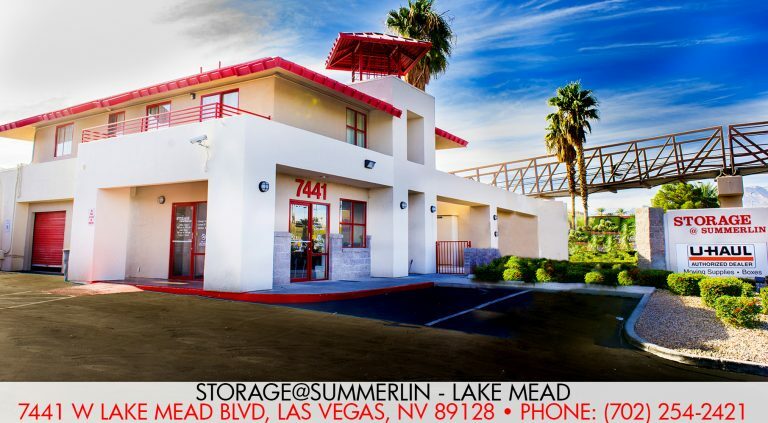 There are two convenient storage at Summerlin locations. In Summerlin, 1650 Crestdale Lane (702) 889-8900, near Town Center and Summerlin Parkway and 7441 W. Lake Mead (702) 254-2421. 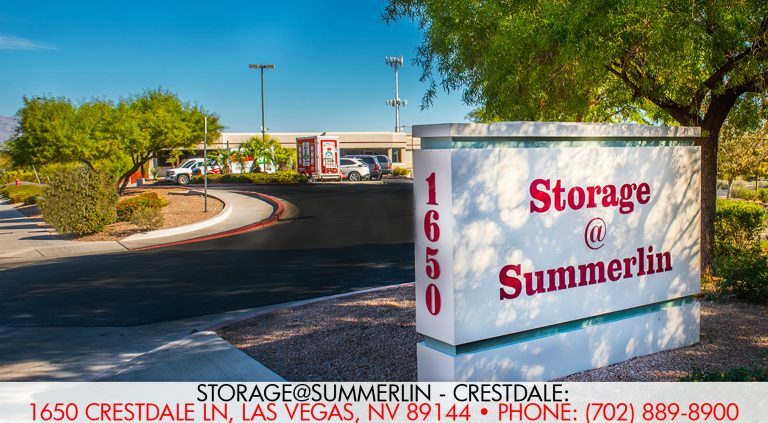 The two Storage @ Summerlin facilities were developed and are operated by the Corrigan family bringing 25 years experience the storage industry to meet your storage needs. Storage @ Summerlin ownership keeps facilities at the cutting-edge of technology and safety. The facilities have state-of-the-art CCTV systems, individual door alarms and on-site resident management teams to ensure the safety and security of your belongings. Both facilities have had continuous management teams for over 15 years. I am so happy to have them in my community. They did a great job helping me and making sure I had the best service. The folks at Storage @ Summerlin are fabulous! They go WAY above and beyond to help ensure I have the right equipment at the right time for my frequent UHaul rental needs. AMAZING!!!! Great service. Wide selection. Perfect experience!! They had everything I needed for my move. Was in and out with the truck rental in a snap. There were no hidden costs or fees. Everything went perfectly smooth. And after the move, we realized we didn’t have enough room for a few things, and they helped us store it until we could get some of the needed work done! Helpful and understanding of all of our needs. Thanks Storage @ Summerlin! Email We will not share your email address with anyone.